What is a psychic and are psychics real? This is a question that people have been asking for centuries. A psychic is someone who can tap into energies beyond your normal five senses of sight, sound, touch, taste, and smell. Some examples are telepathy, clairvoyance, and mediumship. All of them require an ability to receive messages using a ‘sixth sense.’ But how do we know that psychics can really do that? 1 What does science say about psychics and should I believe in them? 3 Where does our consciousness come from and what does it have to do with psychics? 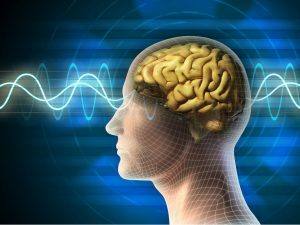 4 How can we tell if someone has real psychic abilities? 5 What can I expect in my psychic reading? 6 What can I ask a psychic? 7 Are online psychic readings legit and how do they work? 8 There are so many different types of psychics, how do I find the best one? 9 Where can I find an accurate psychic reading? What does science say about psychics and should I believe in them? For centuries people have reported strange experiences that they can’t seem to explain using the physical rules of the world. Those physical rules are the five senses: sight, smell, touch, hearing, or taste. But what about everything else? ‘Extrasensory perception’ is a catch-all term for any kind of information received or communicated without using those five senses. almost everyone can remember a time where coincidence didn’t seem to properly explain away what happened. Many people assume that because scientists have not been able to prove the existence of ‘extrasensory perception,’ it must not be true. But are people looking at the question the wrong way? Science has changed its story many times over the years! Science has come a long way in the last few years. 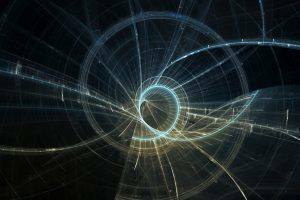 The field of physics has turned previous beliefs on its head. Not too long ago, scientists were convinced that the earth was flat because when they looked at the horizon, there appeared to be an edge. People really believed that if you sailed too far out to sea, your ship might fall off the edge! Around the 6th century BC, Greek philosophers began to think that the earth was actually round. Boy did people think they were crazy! Now, imagine how long it took scientists to be able to prove that the earth is round with a photograph from space! Science changes and adjusts itself to new discoveries all the time, and often things that were previously thought to be impossible, turn out to be true. In recent years, physics has come up with all kinds of crazy theories that have turned ‘proven’ ideas upside down. Because science now says that many different possibilities can exist at the same time, it is pretty clear that we don’t have all of the answers yet. Physics has basically decided that we really don’t know (or can’t prove) much of anything at all! Modern physics actually says that an object can exist and not exist at the same time! Until we look at it, both possibilities are true. 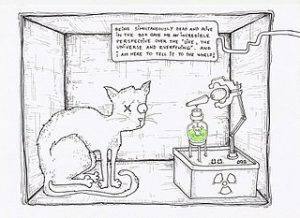 That one is called Schrödinger’s cat, and it can make you feel a little crazy! So, if scientists can’t even figure out if something exists or not without physically looking at it, what makes people think that science can disprove things like psychic ability? What is just as likely, is that science is simply not evolved enough yet to explain these phenomena. Where does our consciousness come from and what does it have to do with psychics? We have this perplexing little thing called ‘consciousness’ that scientists can’t seem to explain. What is it that makes us think, be alive, and have ideas? Well, yes, it is the brain, but what makes the brain actually become conscious? Why do our other organs such as our kidneys and livers not have consciousness? Science has been trying to understand the idea of ‘consciousness’ for years and has failed to come up with more than theories. And none of them have been proven. Some scientists say consciousness is a collection of electric signals sent through the brain via ‘synapses.’ But that actually explains very, very little. The bottom line is, science does not know. So why are we to believe they ‘know’ that the 6th sense is not real? If so, is it not possible that some people might be better at picking up those messages than others? Kind of like some people are gifted athletes and some people are great at drawing. Could it not be true that some people have a heightened sense of picking up messages from the collective consciousness? Science certainly has not been able to disprove it. And my guess is that as science advances, many more such things will become clear and perfectly explainable. But just because science hasn’t proven it yet, doesn’t mean we should dismiss things that we intuit or feel. How can we tell if someone has real psychic abilities? Here are some pointers for finding a real psychic. The first step is to make a short list of qualified psychics. Read up about the best online chats and services so that you can make an informed decision. The second step is to find the real psychic that that is right for you. Figure out what you are looking for – a clairvoyant, medium, healer? 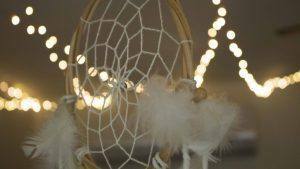 Once you have created your short list of qualified psychics, do a test run and try a few out! There is nothing wrong with deciding someone is not the right fit for you. I promise you, the psychics will not be offended! Real psychics also know whether your energy works well together, so don’t worry! You can test your psychic – only answer yes or no! What can I expect in my psychic reading? A psychic reading is when you sit down with a psychic, either face-to-face or via phone, chat or email, to ask advice about a particular situation. Clairvoyants can tell you which energies are affecting your situation and can give you advice about how to best move forward. Mediums can actually make contact with spirits on the Other Side and can channel messages from departed souls. What can I ask a psychic? In a psychic reading, you can ask anything from general questions about career, relationships or family, to very specific questions about a given situation. Sometimes we are faced with challenging situations where it seems there are no good options. A real psychic can help you gain new perspectives and advise you on the best course of action. Are online psychic readings legit and how do they work? A true psychic does not need to be in your physical presence to make a connection with your energy field. 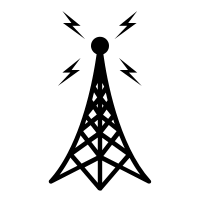 Just like the radio can pick up frequencies from far away, true psychics can see the energy around you simply by making contact with you. When you ask a psychic your question, whether by chat, email or by phone, they can immediately connect with your energy, intention, and consciousness. And what’s more, they can follow that stream of consciousness back to the collective whole! Thanks to technology, psychic readings are easier than ever to schedule, so don’t be afraid of taking advantage of readings done over the phone, by email or even on chat or text. The best way to guarantee an accurate psychic reading is to follow the steps outlined above. Choosing psychics through referrals from friends is a good idea. Also, choosing a psychic with a proven track record of online reviews, affiliation with a trusted website, and a money back guarantee, are also good methods for finding your match. And don’t forget – lots of sites give you the first few minutes free so that you can try different psychics with minimal risk! There are so many different types of psychics, how do I find the best one? Read up on the different types of psychic abilities and you might be surprised to find that you have some of these abilities yourself. The more you learn, the more you can refine what you are looking for and find the perfect match. For example, mediums and clairvoyants both have psychic abilities but a medium makes connections with departed souls, angel messengers, or other spirits. Rather than reading your general situation, they make contact with specific spirits in order to communicate messages that may be coming to you from the Other Side. Other psychics have powers of healing, by balancing your chakras or clearing out your aura. They can tell where your energies are stuck or out of balance and can re-direct their proper flow and function. Other psychics like to use tools for divination, such as tarot cards or runes. Many of these spreads will tell you several different things in response to your questions. For example, a typical tarot reading can tell you about the past influences that were affecting your situation. Then the reading will continue to explain what energies are affecting your current situation, including any obstacles or challenges. Finally, the psychic may give you recommendations on which actions to take based on the future influences that seem likely based on the cards that you received. 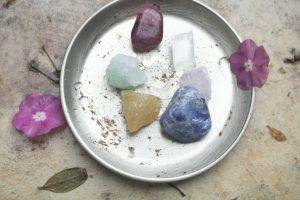 There are many different ways to tap into psychic abilities, and it is important that you discover which one is best for you and your situation. Where can I find an accurate psychic reading? Keen offers the first three minutes free and had a great roster of reviewed psychics. They definitely have a lot of budget options, which might be great for beginners. AskNow is offering the first 5 minutes free, so it’s a great way to shop around for the perfect fit for you! 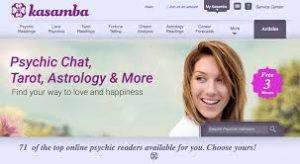 With a large network of psychics and a practical search option with lots of filters, it is a great website for finding your perfect psychic. 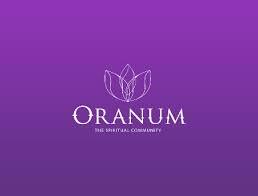 Oranum has been around for a very long time and has many psychics that have been working on their platform for years. For you, that means lots of reviews. They also have a great live stream feature where you can watch your psychic in action, to get a sense of whether you think they are a good fit for you! Kasamba has been around for over twenty years and offers a money back guarantee. Their prices are a little higher than on some other sites, but based on their online reviews, customers seem to think that their services are worth it! They offer the first 3 minutes free and some advisors even offer a 50% discount on their services for a limited time. Ready to find out if real psychics can actually help you? Get answers to your most important questions and get back to us with your thoughts and experiences!